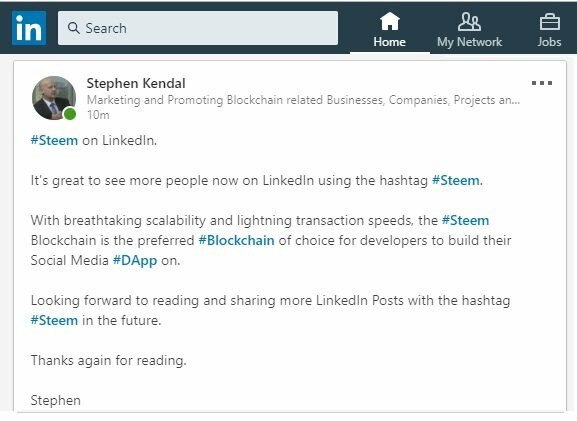 Posting on LinkedIn with hashtag Steem. 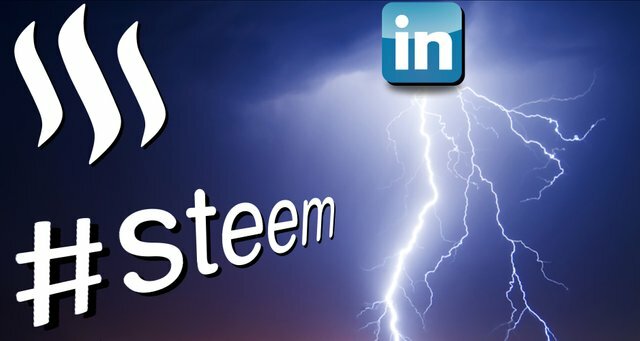 With breathtaking scalability and lightning transaction speeds, the Steem Blockchain is the preferred Blockchain of choice for developers to build their Social Media DApp on. It's great to see more people now on LinkedIn using the hashtag #Steem. With breathtaking scalability and lightning transaction speeds, the #Steem Blockchain is the preferred #Blockchain of choice for developers to build their Social Media #DApp on. Looking forward to reading and sharing more LinkedIn posts with the hashtag #Steem in the future. Thank you for the information @stephenkendal Steem is spreading fast and will be capturing the virtual world very soon :) .